As a mom, the best part of every morning (and afternoon) is a big cup of coffee to look forward to. 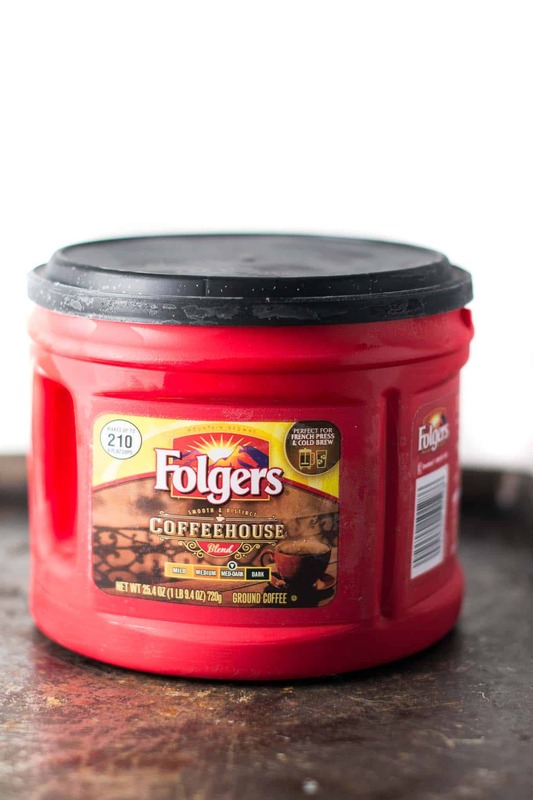 Folgers® Coffeehouse Blend is my new favorite go to coffee! 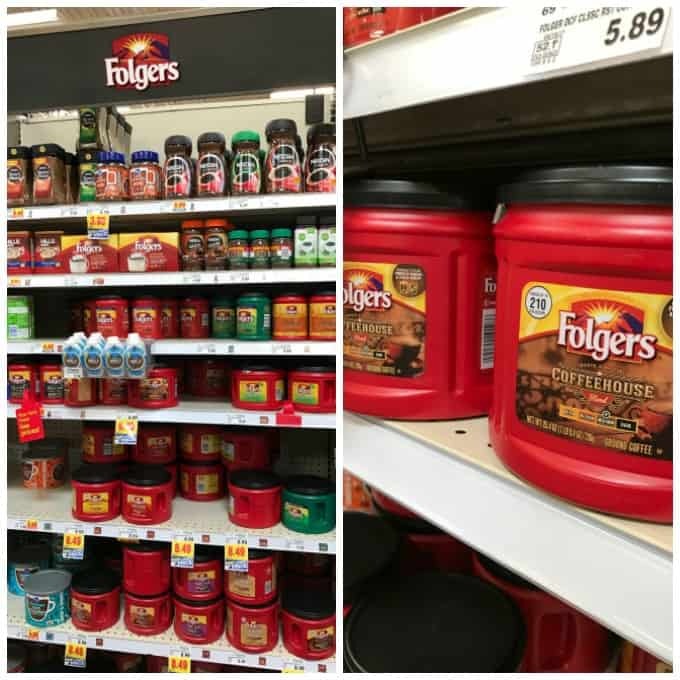 What I love most about Folgers is how bold the flavor is. I had never tried the Coffeehouse blend until recently and I fell in love! No matter how you prepare it (creamer addict anyone? ), you can still taste the rich bold flavor of the coffee. We picked our coffee up at our local Kroger. One of my husband’s favorite coffee shop treats is a coffee float. We only had one once and he hasn’t stopped talking about how amazing it was! 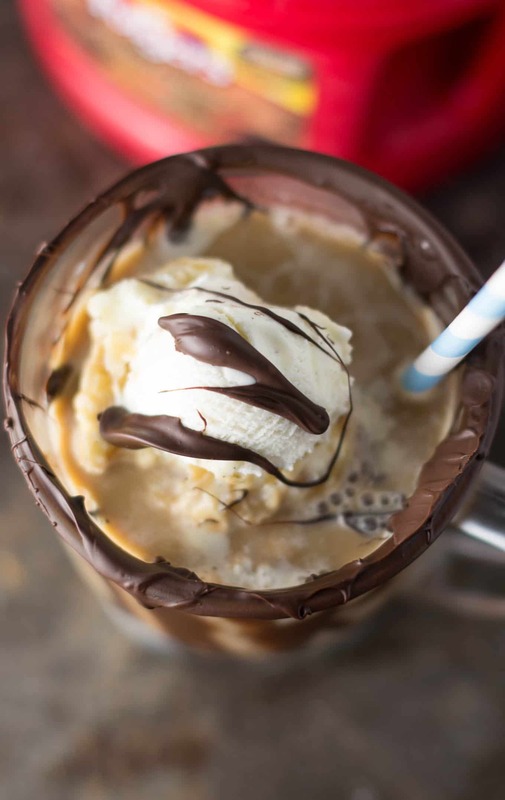 My mission was to recreate that amazing depth of flavor with bold cold brew coffee poured over creamy vanilla ice cream. 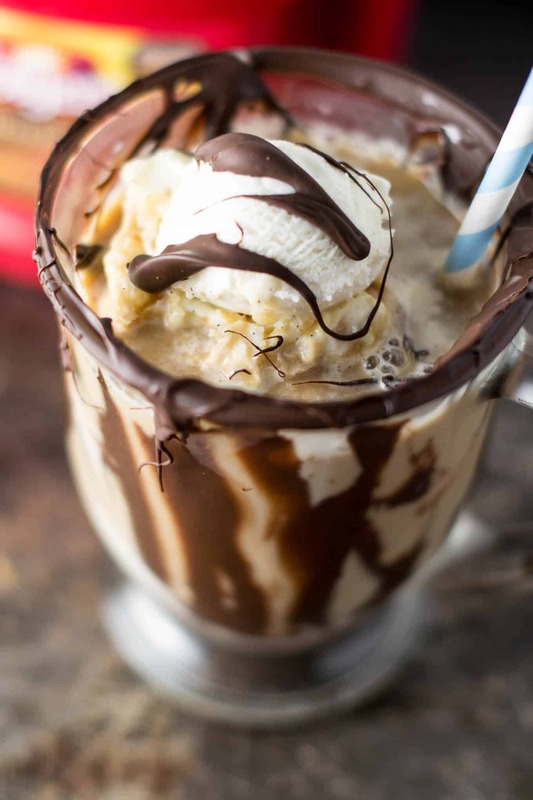 Once the ice cream starts to melt into the coffee this cold brew coffee float becomes pure heaven. 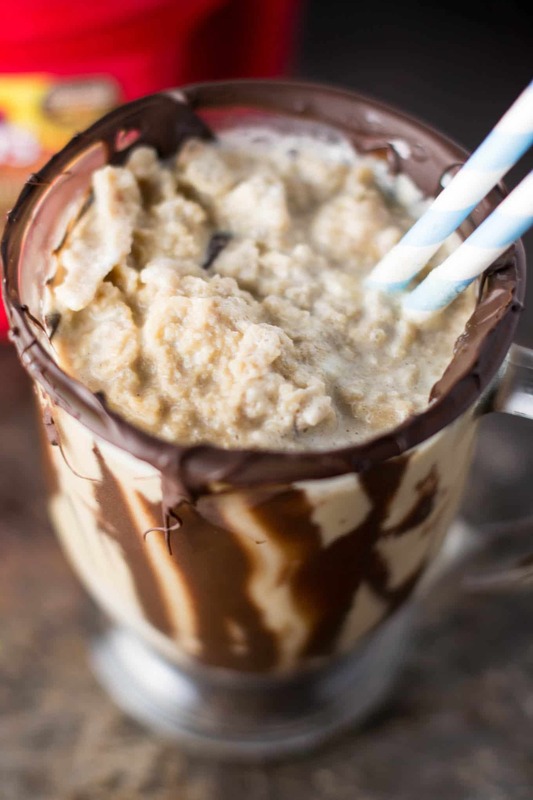 Words can’t even properly describe how delicious this is! A coffee lover’s dream come true. 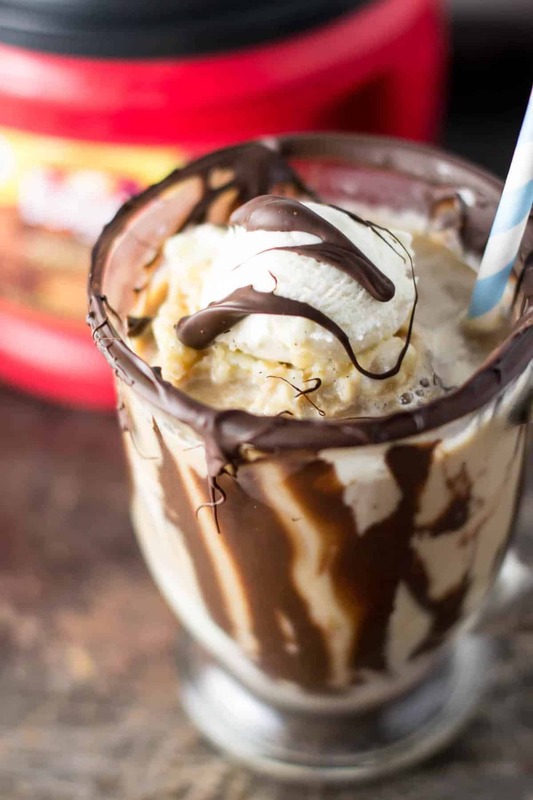 For this recipe, I used Folgers Coffeehouse blend to make an easy cold brew coffee in the fridge. Once it has sat overnight, you simply strain out any coffee grounds and you’re left with a bold, rich, and delicious coffee! 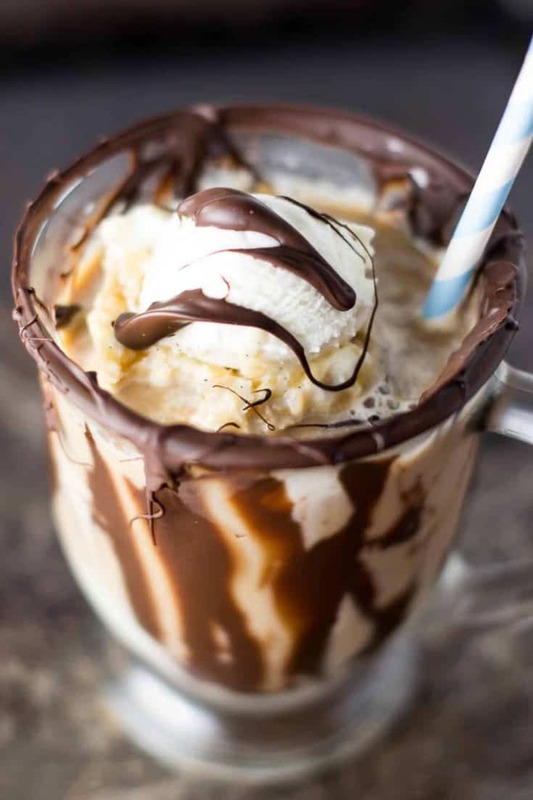 Pour in a little creamer to taste, serve poured over ice cream and garnish with melted chocolate. Robbie and I cannot get enough of these. With 4 hours of sleep last night I could really use one today! Combine coffee grounds and water in a pitcher and allow to sit overnight. nutrition information does not include ice cream.